Those who know me will know that by day, I work in fundraising, and by night I’m a baking fiend. Most fundraisers will tell you they rarely leave their fundraising hat at the door, and I for one love nothing more than a chance to bring these two passions together for a good cause. This week, that cause is Children in Need. If you’re not aware, or are outside the UK, Children in Need raise vital funds to support projects across the UK that transform the lives of disadvantaged children and young people. From supporting young carers, to counselling for victims or trauma or those who’ve lost a parent, and from funding education projects in deprived towns, to critical care for disabled children. Since it was founded, the charity has raised over £600 million for these life-changing projects, and over £40 million was raised last year. That’s truly amazing. What I find particularly inspiring about Children in Need is the tremendous sense of the country pulling together to give a helping hand to those who need it most. Times are tight, and we’re feeling the economic pinch more than ever, yet every year, hundreds of thousands of school children, parents, workplaces, friends, clubs and many more, dig deep and work together to do their bit to make life a little brighter for someone they’ll probably never meet. My little bit this year is baking these cupcakes to sell at my office. They’re adapted from a recipe in the Hummingbird Cake Days book. 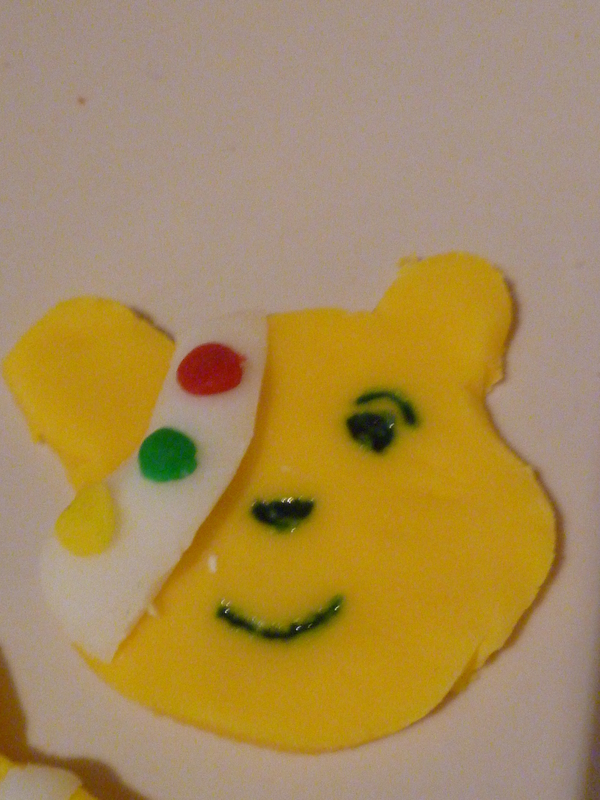 They come scented with orange blossom to hint at the vibrance of the beloved Pudsey bear, some frosted with handmade little Pudseys and others with polka dots (cutting the pudseys out by hand with a tiny knife got a little exhausting after the hour of making the first six!). Using an electric whisk, whisk together the butter, sugar, baking pwder and saly until well combined into a breadcrumb-like texture. In a separate jug, whisk the milk, eggs and orange blossom water by hand. Pour 3/4 of the milk mixture into the dry ingredients and whisk to combine. Scrape down the sides of the bowl with a spatula (my silicon spatula is literally my kitchen best friend), add the rest of the milk mixture, and whisk until lovely and smooth. For the frosting, cream your softened butter, before whisking in the icing sugar with a bit of milk. 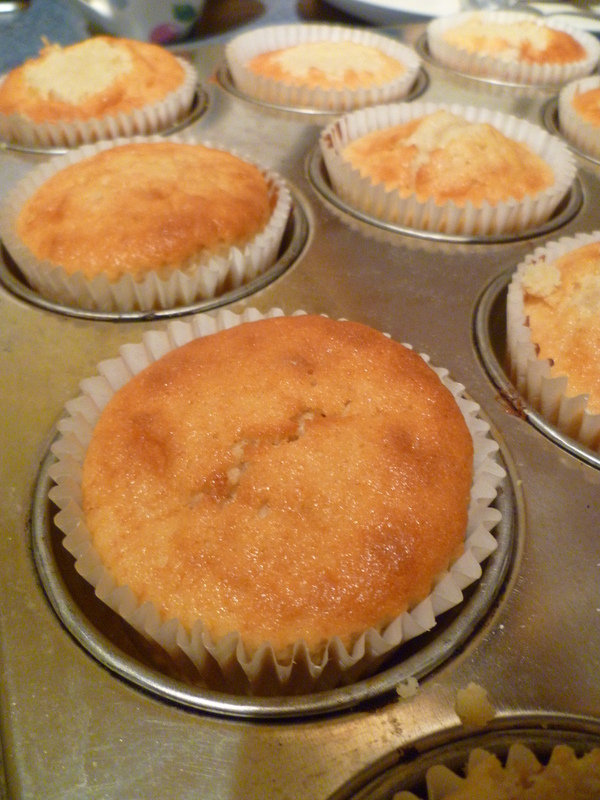 Add your colouring and orange blossom water and combine, being careful not to overmix or the frosting will become runny. Wait until the cakes have cooled and the icing has been in the fridge a little before piping on to the cakes, or smoothing on with a pallette knife if you prefer. 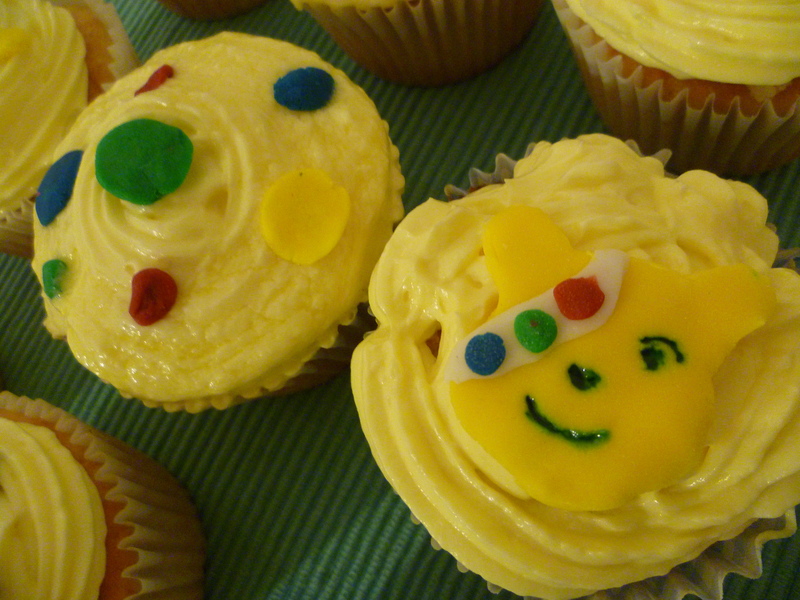 At this stage, a good baker/cake decorator would give you expert instructions on how to make Pudsey toppers. I’m afraid I’m not going to do that. That’s because mine were hopelessly handcrafted with all of the wrong tools – but I had a lot of fun! I rolled out my yellow sugarpaste, and hand cut the shapes I needed with a very small kitchen knife, followed by the bandana curves. I then rolled up teensy tiny bits of sugar paste into the dots, and painted on the facial features with *wait for it*…..a metal skewer and some blue food colouring – hence them being a little smudgy and far from perfect. One thing’s for sure, though, they were made with a big smile on my face and the hope that they make a small contribution to smashing that £40 million total this year! If you’d like to make a donation to Children in Need, you can text DONATE to 70505 to donate £5, or just click here to make a secure online donation. 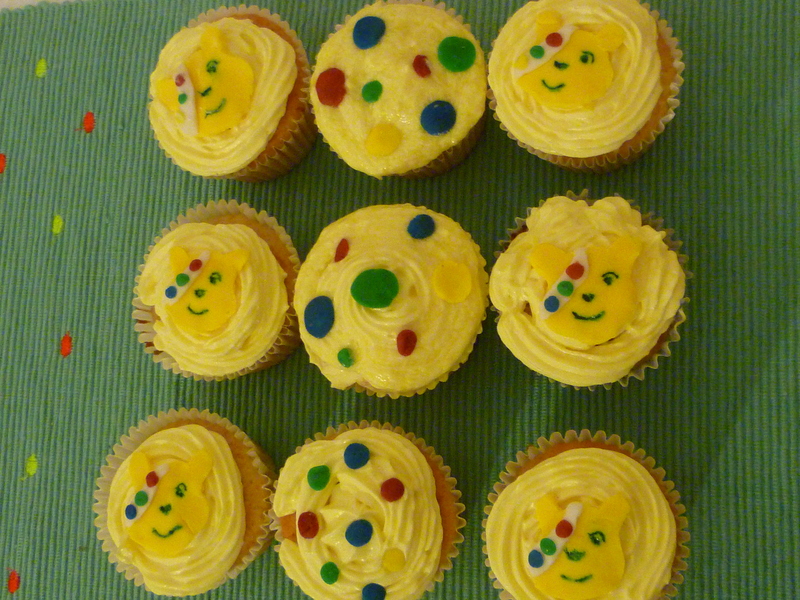 How are you all supporting Children in Need this year? Are you doing bonkers challenges like a bath of beans, or baking your little bum off? Aw, I had no idea you did fund raising for a living! That’s so awesome!